N is using Smore newsletters to spread the word online. Yes! We have got Britain this time. 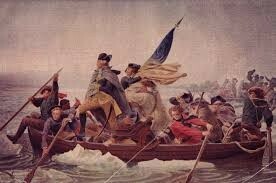 The Sons of Liberty went on a British ship that was delivering tea and threw the tea into the harbor. They dressed up like Native Americans or British men so they could get on the ship. 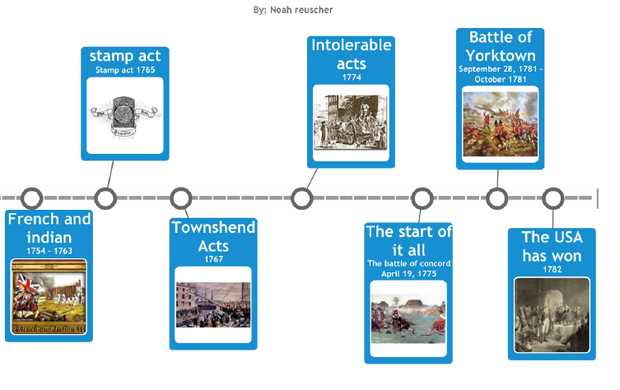 The British started the Intolerable acts because they were furious with the colonists. The Intolerable acts were when you fed the men and let them stay in your house who fought for the British. Wow I can’t believe this, some of the colonists dumped all of our tea in the harbor. 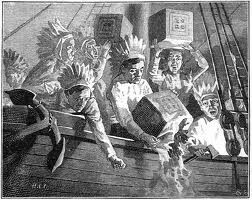 The people are called the Sons of Liberty and they dressed up like Native Americans or British men so they could get on the ship and throw the tea into the harbor! I am so glad that they started the Intolerable acts the people who did this need to be punished. Also I want to help my side with its troops so I gladly will bring in a soldier if they need help! 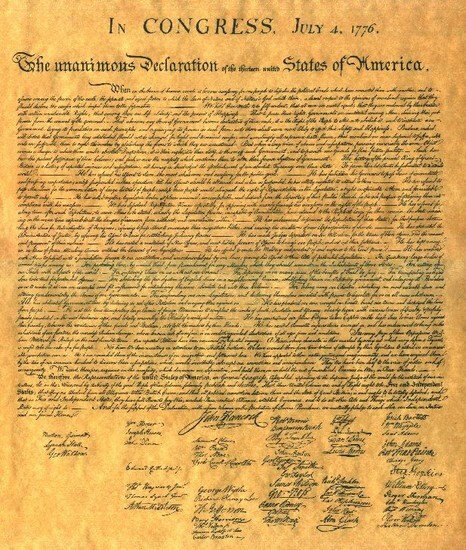 The Declaration of Independence was made to explain why the colonies should be independent. Also the document said that it spoke about people’s rights or freedoms that can’t be taken away." Whenever a form of government is destructive. People have the right to alter and to put in a new government, "said Thomas Jefferson. Lastly, "It said that we hold truths to be self-efficient and all men are created equal." What the Declaration of Independence means is that it is not fair to be able to rule someone and if they would like to break away from Great Britain then they should be able too and start their own government. 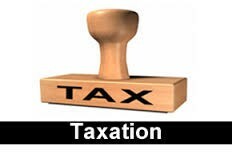 The British were taxing the colonies because they were in dept. They did this because they used their money for the war between Great Britain and the French. So they first started with the stamp act. 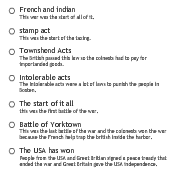 Every paper product the colonists bought they had to buy a stamp. The tax that was bought from the stamp went to Great Britain. Then they saw that the Stamp Act was not working so they enforced the Townsend acts. They were that the colonists had to pay tax for many imported goods from Great Britain. These Items were paper, wool, glass, paint, and lead.